Titanic, electoral college, national hard candy day, smoking meth in the I.C.U. Today is Monday, December 19, the 354th day of 2016, with 12 days remaining. There are two days until the winter solstice, four days until Festivus, five days until the start of Hanukkah, six days until Christmas Day, 32 days until Donald Trump becomes president of the United States*, and 687 days until the November, 2018 mid-term election. 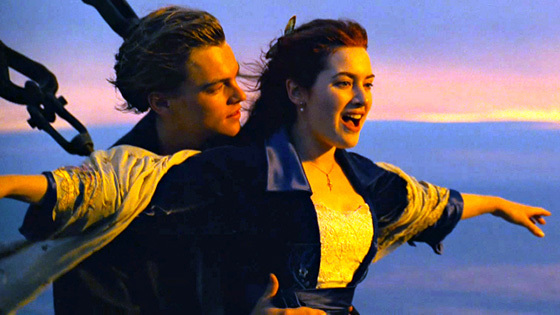 On this day in 1997, the movie Titanic was released. Nominated for fourteen Academy Awards, it tied All About Eve (1950) for the most Oscar nominations, and won eleven, including the awards for Best Picture and Best Director, tying Ben Hur (1959) for the most Oscars won by a single film. With an initial worldwide gross of over $1.84 billion, Titanic was the first film to reach the billion-dollar mark. It remained the highest-grossing film of all time until Cameron's 2009 film Avatar surpassed it in 2010. A 3D version of Titanic, released on April 4, 2012 to commemorate the centennial of the sinking, earned it an additional $343.6 million worldwide, pushing the film's worldwide total to $2.18 billion. It became the second film to gross more than $2 billion worldwide (after Avatar). According to the web site Box Office Mojo, when adjusted for inflation, Titanic rates fifth in domestic grosses while Avatar is ranked 15th. Among other things, today is also National Hard Candy Day. Hard candy can be traced back to ancient Egypt, Arabia, and China. Archaeologists in all of these regions have found traces of "candied" fruits and nuts that had been dipped in honey, which is a preservative. Florida man brought girlfriend meth to smoke in hospital's ICU. Deputies were told that a female patient was seen putting a glass pipe in her mouth and smoking it while she was on oxygen, which is highly flammable, the report said. As of this writing, The KGB Quotations Database contains 43,246 entries. Check it out. H.H. Williams (1872-1961), Bishop of Carlisle. "The fortunes of the entire world may well ride on the ability of young Americans to face the responsibilities of an old America gone mad." In last-shot bid, thousands urge electoral college to block Trump at Monday vote. Even if enough electors defect to deny Trump the 270 votes he needs, the decision would go to the GOP-controlled House of Representatives. Trump Revealed: The Washington Post made public a sizable portion of the raw reporting used in the development of "Trump Revealed," a best-selling biography of the Republican presidential nominee published August 23 by Scribner. Drawn from the work of more than two dozen Post journalists, the archive contains 407 documents, comprising thousands of pages of interview transcripts, court filings, financial reports, immigration records and other material. And yes, it's as unsettling as you think. Simpler times: When Mr. Coffee was the must-have Christmas gift for java snobs. By Christmas 1977, department stores were selling more than 40,000 Mr. Coffees each day. I really didn't drink coffee that much until Mr. Coffee arrived. In addition to better-tasting coffee, it actually brewed an entire pot in 15 seconds. Chimps are adapting well to the human world.. Polar bears, not so much. Nearly 40 percent of the U.S. prison population- 576,000 people- are behind bars with no compelling public safety reason. If these prisoners were released, it would result in cost savings of nearly $20 billion per year, and almost $200 billion over 10 years. This sum is enough to employ 270,000 new police officers, 360,000 probation officers, or 327,000 school teachers. It is greater than the annual budgets of the United States Departments of Commerce and Labor combined.